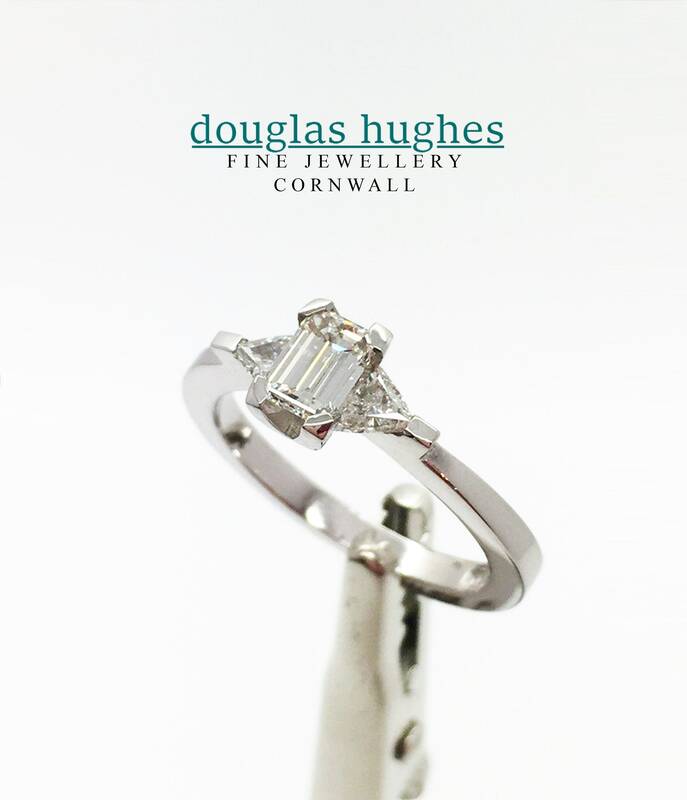 A Stunning Platinum & Diamond Trilogy Ring - Douglas Hughes Handmade Design. 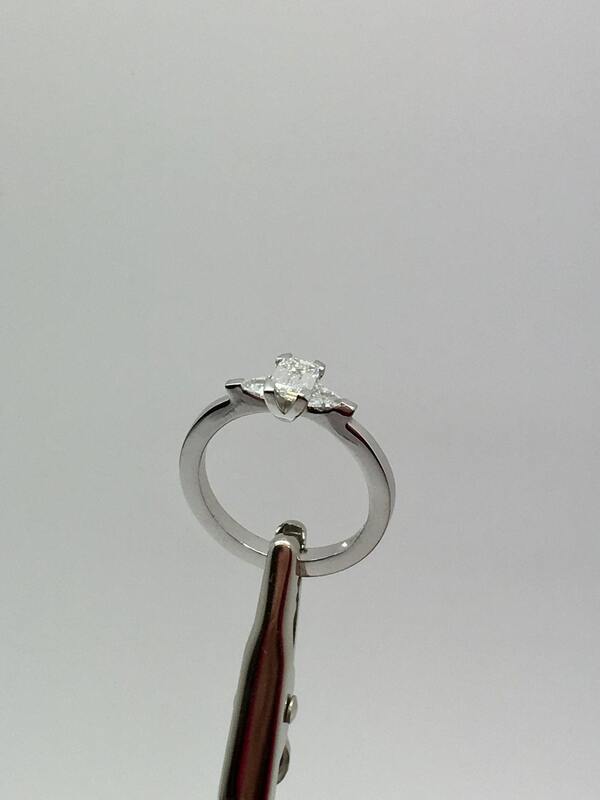 Set with a very fine half carat Emerald Cut Diamond & 2 x .0.15ct Trilliant cut Diamonds. 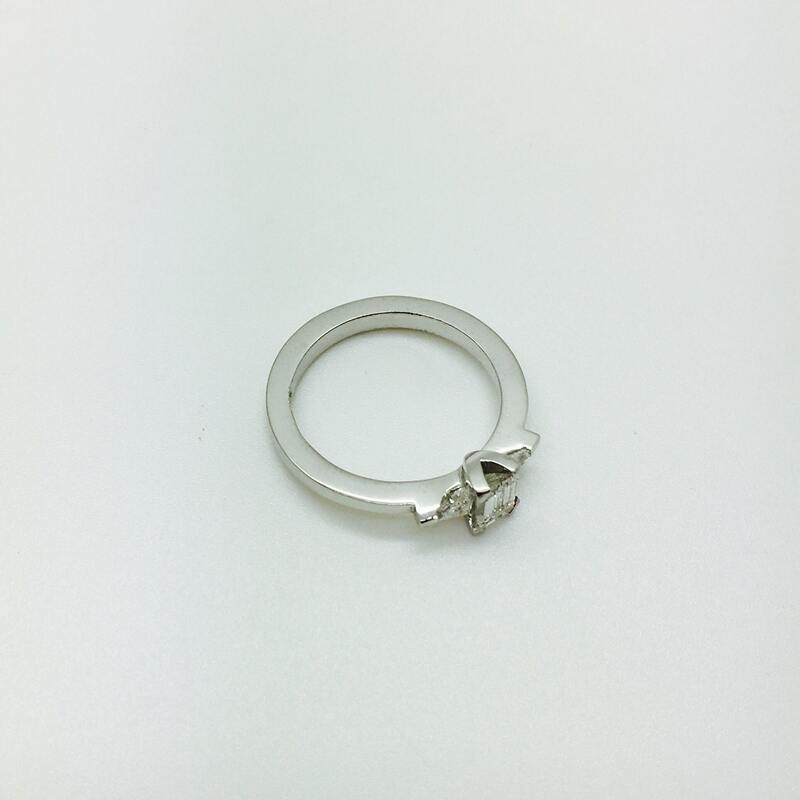 The ring can be sized to fit any finger!